Update: the two major sticking points right now are field of view and multiple focal planes. The first one is definitely not big, according to a piece in Rolling Stone magazine. The multiple focal planes are crucial to avoid convergence accommodation issues, something that has plagued 3D technologies forever. Rolling Stone couldn’t get a clear answer on that one either. The highly secretive and well-funded Magic Leap has finally dropped the curtain. In today’s announcement they introduce their Magic Leap One. No pricing and availability yet, but a better idea on how it looks and what it can do. According to them. 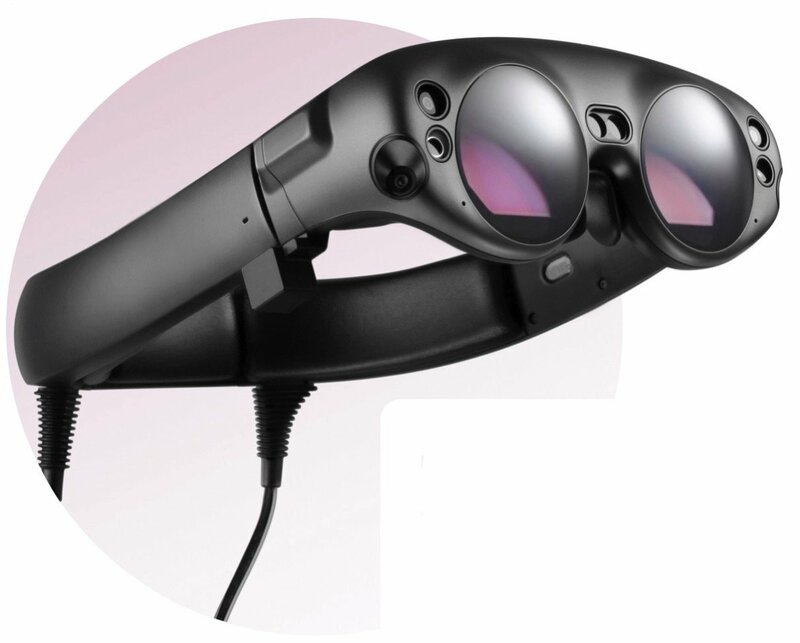 Its official title is the “Magic Leap One: Creator Edition”, and they’re shooting for a 2018 release. Its main target are those who want to develop for the platform. Creators. I think it’s also fair to guess that it will be pricey in the beginning. It is also more than just the goggles. It connects to a small computer that you carry on your belt. They call that the Lightpack. It also comes with a hand-held controller that helps you interact with the mixed reality in your surroundings. It was about time they got a bit less vague in their announcements. Take content out of the web. Think online shops with 3D previews of goods. Create displays. Plaster your surroundings with virtual displays of any size. Stick them somewhere or have them follow you. Gaming. Integrate games with your real world. Tele-presence. Meet with virtual avatars of others.